As Queen Elizabeth takes her place as the longest reigning monarch in this history of British royalty, we take a look at the glorious crown jewels that she has worn for over 63 years, that have been the very centre of her sovereignty and marked some of the most important milestones during her time on the throne. Once a British colony, it’s no surprise that many South African diamonds made their way aboard with the biggest of them all taking its illustrious place in the crown jewels. Weighing a breathtaking 3,106 carats, this colossal diamond was discovered in 1905 by Pretoria’s Premier Mine inspector Thomas Wells, who initially mistook it as a piece of glass, placed by the miners to prank him. When its true identity was revealed, the diamond was named The Cullinan after the owner of the mine and purchased by the Transvaal government as a gift for King Edward VII. Elaborate plans were made to have the precious diamond shipped to England on a boat, protected at all times by top security. However, it was later revealed to be an elaborate ruse created to fool any hopeful thieves – the Cullinan was in fact sent to England in the mail, with no security whatsoever. The significant task of cutting the diamond was assigned to Asscher’s of Amsterdam, who after many months of studying, cut the Cullinan into nine stones, numbered Cullinan I – Cullinan IX and 96 smaller round brilliant cut diamonds. Generous gifts to the monarchy, today all nine of the Cullinans adorn the crown jewels that are worn by Queen Elizabeth and the Royal family. 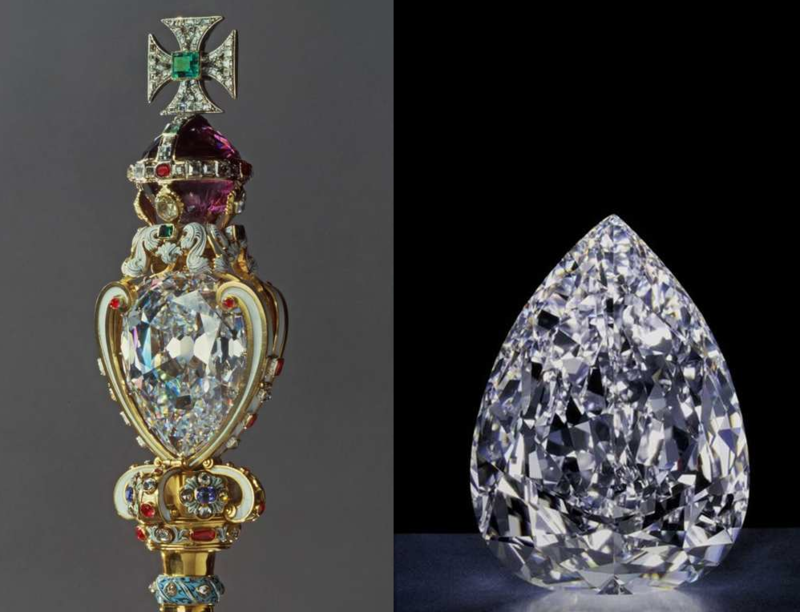 The largest cut diamond in the world, the 530.2 carat, pear-shaped Cullinan I (or Star of Africa) is set as the main stone in the majestic Sceptre with the Cross. 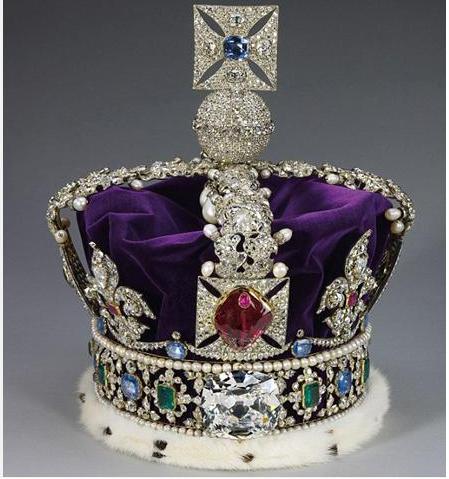 The 317.4 carat cushion cut Cullinan II – the second Star of Africa –was placed in prime position, front and centre of the glorious Imperial State Crown. 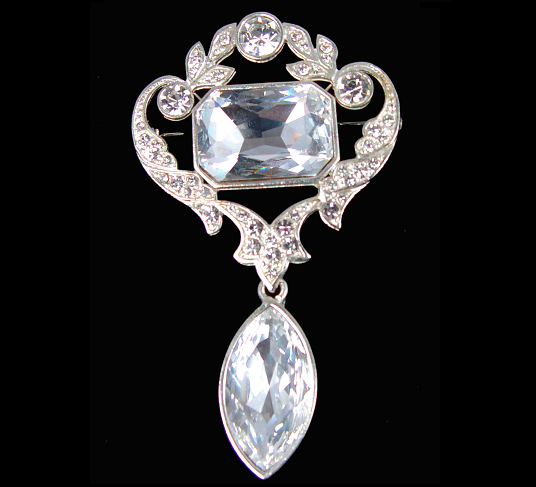 Pear-shaped Cullinan III is suspended from the square-cut Cullinan IV to create the impressive 157 carat Cullian brooch. 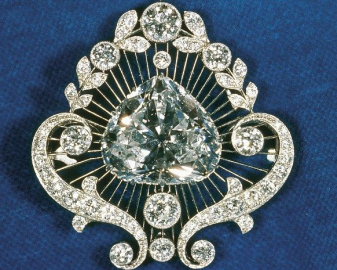 One of Queen Elizabeth’s favourite brooches, the Cullinan V is an unusual 18.9 carat heart-shaped diamond that is set in an elegant diamond and Platinum surround that enhances the profile of the heart-shaped brooch further. 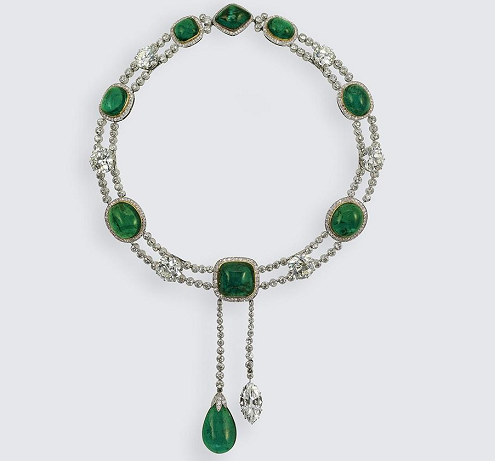 For once not taking centre stage in the royal jewellery collection, the Cullinan VII is a marquise cut pendant that is suspended from the The Delhi Durbar Necklace, an elaborate emerald necklace that includes 8 square and oval cabochon emeralds, each surrounded by diamonds and separated by a large diamond and two strings of smaller diamonds. 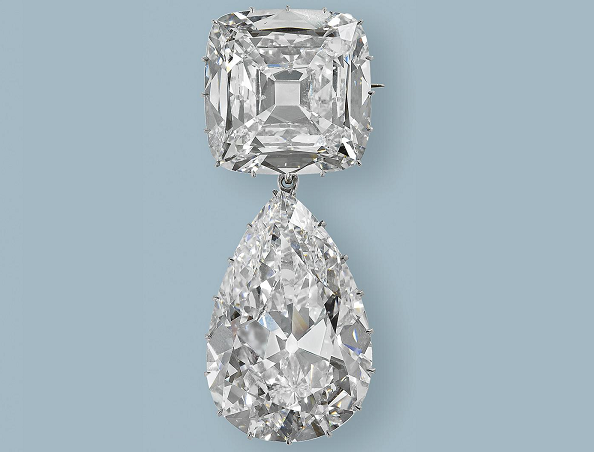 It has also has two detachable pendants, and emerald and the Cullinan VII. The Cullinan IX is a pear-shaped diamond that was claw set in an exquisite ring which sadly- due to the royal tradition of wearing gloves- has not had as much exposure as the rest of its relatives. At the Cape Town Diamond Museum one can lay their eyes on an exact replica of the original Cullinan diamond, as well as many of the other world famous diamonds through the ages. Find out more about the museum and book your guided tour here. 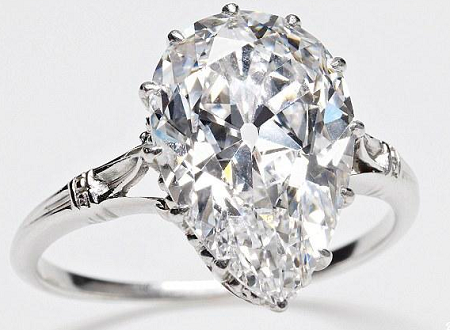 Black Diamonds 101 Blue Moon Diamond to break records at Sotheby’s Auction?